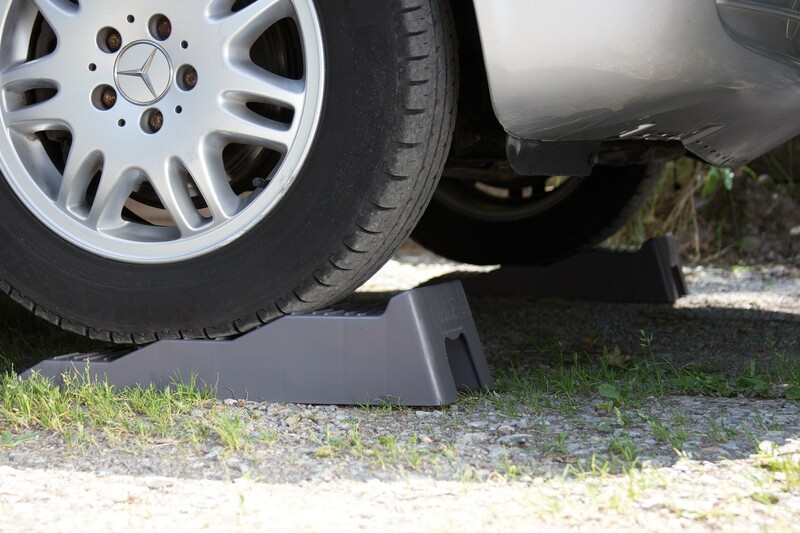 Fiamma Level Up has been designed to keep your motorcaravan perfectly levelled for improved operation of equipment when parked on uneven ground. Fiamma Level-Up is multi-levelled and stands at a maximum height of 13cm high.The ridged surface has a non-skid finish, which grips the vehicleÆs tyres very effectively. No-slip screws fitted to the leveller base to prevent slipping. Level-up is truly lightweight and has been made using rust-proof and UV-resistant material, which is also very easy to clean. Ideal for large motorhomes with a maximum axle weight of 5 tons. Will not crack or break like wood. 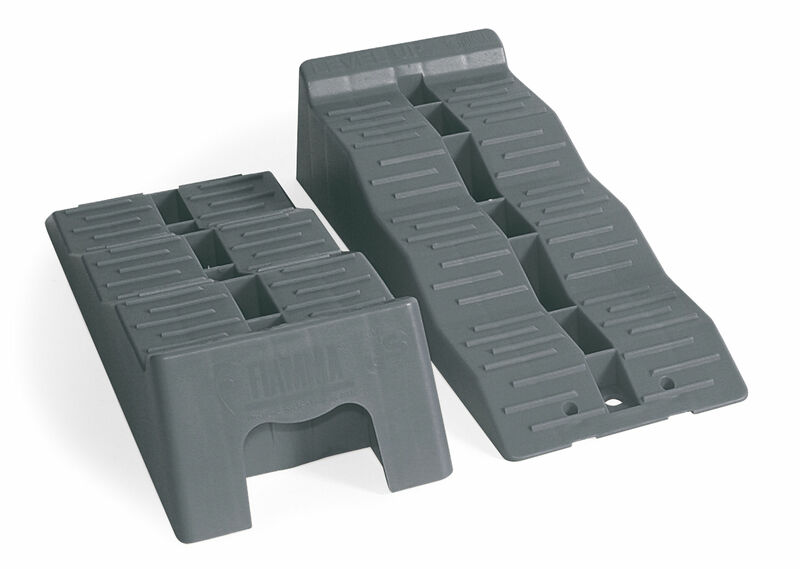 Use with optional Fiamma Anti-slip Plate (see below). Anti-slip Plate locks onto the Level Up to prevent slipage while on paved and concrete surfaces. Dimensions cm: 57 (L) x 20 (W) x 13 (H). 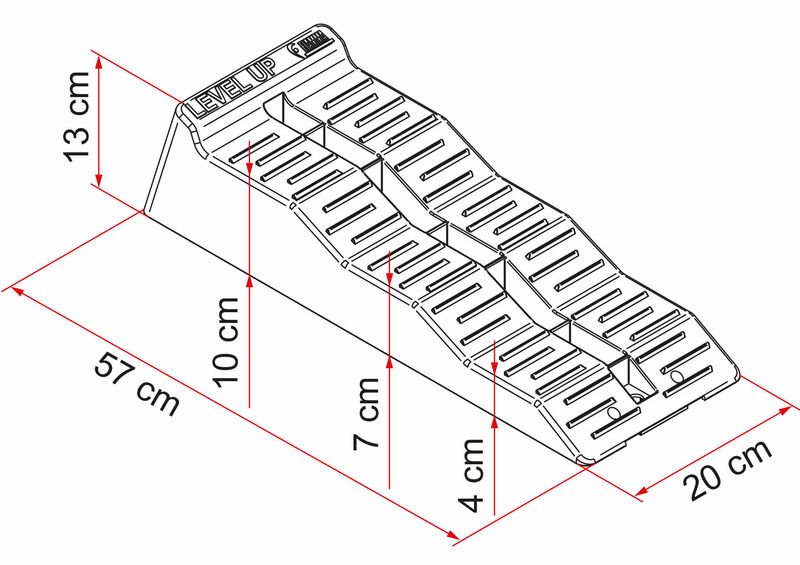 3 Levels at: 4cm, 7cm, 10cm.